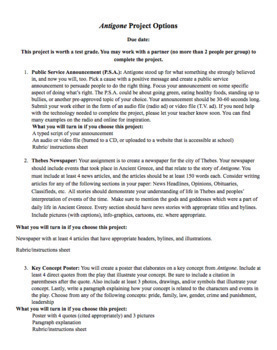 These document provides 3 different options for projects that students can complete for the play Antigone. 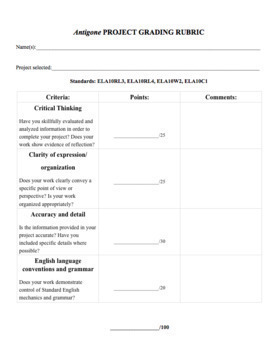 A rubric is also included. 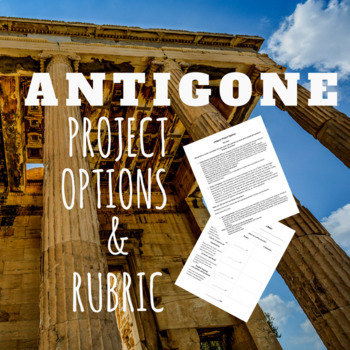 Also check out my new Antigone project options!